S2H Communication announces new collaboration with Moderne Gallery, who will move to a new epicenter for the arts in Philadelphia. Moderne Gallery, recognized internationally as the prime gallery for studio craft furniture, and as the leading Nakashima dealer in the world, is moving to a new center for high end design, art and antiques in the Port Richmond section of Philadelphia, as of January 2019. 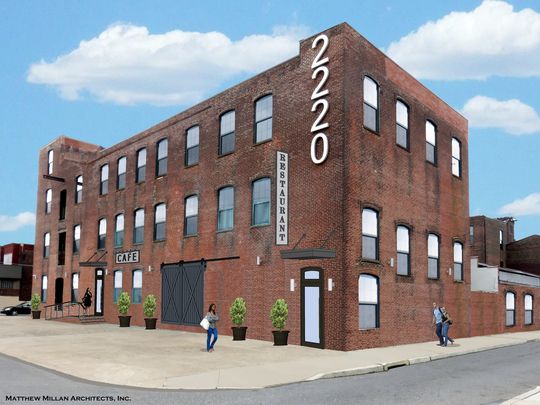 Moderne Gallery will be the first tenant in the Showrooms at 2220, a newly restored former mill at 2220 East Allegheny Avenue, (Port Richmond) Philadelphia, PA 19134. The 100,000 square-foot building is owned and managed by Jeffrey Kamal and Joe Holahan, co-owners of Kamelot Auction Company, which holds its auctions and has its offices in the building.